Canadians love our top rated mobile poker site for April 2019: 888 Poker ! Poker is a leading game in Canada, and it’s easily accessible on smartphones thanks to mobile support. There are many reasons why poker players are enjoying a good game of mobile poker, but a huge factor is that it's accessible to you on the go. There are many online poker apps available for smartphone whether based on Android or on iOS with your iPad or iPhone. 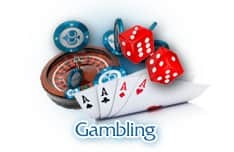 Mobile casino apps for Canada are all the rage, and it only stands to reason that online poker sites would see to it that Texas Hold'em players have access to real money poker play, and to the same degrees of fun and excitement that they have when playing online. The benefits of playing mobile poker games through your smartphone devices are many. The biggest advantage is the fact that you never really have to be away from the game. Imagine winning some real cash while you are waiting for your special guy or gal at the local mall. Before, you may have been reluctant to get up from your comfortable office chair and go. But that is no longer the case. Many of the top online poker sites are offering great promotions and features to get you to try their site. This is a great opportunity to increase your bankroll and experience players from all over Canada and the world. What better way to improve your skills than to play for real money whenever you want to, while also taking breathers from the real cash frenzy and trying out your new, developing strategies on free play? Most of the higher quality poker sites that offer mobile play will also offer free play. Be prepared to be drawn into your mobile phone or tablet like a moth to the flame. First of all, it is often times easier to get started on a mobile device than on a PC or a Mac. The truth is, you are constantly on the go, and mobile app developers understand that. So, with just a simple smartphone, an email address, and a safe Wi-Fi connection or 4g plan, you're ready to go. All of the best Texas Hold'em sites are known to offer fast and easy installment methods. Poker players love tournaments, and fortunately you will be able to access tournament play while on your mobile device. It is always important for online poker players to be mindful of a few simple guidelines. While playing mobile poker on the go is fun and very rewarding, it is also a security risk when playing on public Wi-Fi. If you intend to play on the go, then it might be to your advantage to ensure that you have a quality data plan in hand. Finding a high quality mobile poker site is easy when you just sit back and let the online poker gurus at CardsChat.com lead the way. Our team of experienced poker players and reviewers has years of combined experience. Together, they have identified safe and secure establishments. Locating sites that are licensed, regulated, and have great reputations takes some careful investigation, but we found them in our uncompromising commitment to detailed vetting. But there are other important factors we take into account when searching for the best mobile online poker sites. Many are essentially the same attributes we look for when identifying the best online casinos that have poker. That includes having a wide variety of poker games, and plenty of distinct deposit options for real money gamblers. For your convenience, we have both listed the winners, and identified a few stinkers that you would do well to avoid. Is mobile poker legal in Canada? You bet it is. 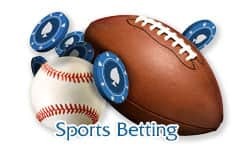 While there has been some discussion about gambling in unauthorized areas, there is nothing on the books to prevent you from playing where you want, when you want, and on what device you want. So grab your mobile and play. How is it different to desktop play? Desktop play frequently - though not as much anymore - requires downloads to your computer. Because of that, you do not want to use up precious space on your mobile device. Also, you will only be able to play one table at a time. That can be a downer for poker players who are used to a lot of hands at one time. Not to worry, the convenience of playing when you want, where you want makes up for it. If you are looking for information on desktop play, instead visit our Canadian Poker Sites page. Hint: Make sure you are playing at high quality sites like those we recommended, or you'll just be wasting your time - and possibly your money. How does it compare with the desktop version? Aside from the simple fact that you can easily carry it in your pocket, there isn't that much of a difference. One of the biggest complaints when it comes to mobile online poker is the size of the screen. This can seem a bit limiting to some. However, the 3D graphics, outstanding color, and multimedia spectacle that is part and parcel with app technology makes it easy to follow and remain engaged. In addition, with mobile play, you can typically only play on one table at a time. How do I play mobile online poker? 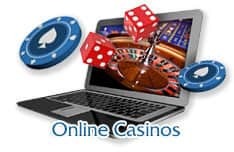 After choosing one of our recommended sites, you simply click on the link, download an app, set up your account, and then choose your table and start playing as you would at an online poker site through your desktop Windows or Mac computer. 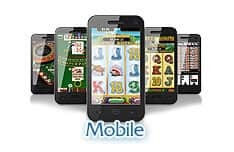 We have selected online mobile poker sites that have a wide variety of deposits. Canadian players have quite a few options, including credit cardsm and eWallets such as Neteller and Moneybookers. 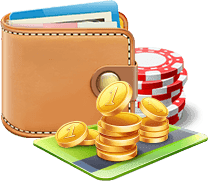 Withdrawals options as well as methods of funding your game are different from one online mobile poker site to another. It is good to know you have so many options when it comes to real money poker. What phone models are supported? Increasingly, mobile apps are being developed for every type of smartphone, from Apple devices to Blackberry. Typically, if your phone has Flash or Java, then you will be in good hands. We have selected apps that run on iOS, Android, and Window devices. Should I play using a mobile site or app? Absolutely, there is little reason not to. That said, there is one area in which you might want to exercise caution, namely playing for real money on public access Wi-Fi. That means it may be an unsecure connection, possibly rendering your information vulnerable to hackers. What is the best mobile poker app for Canadians? Pokerstars stands out as one of the best, with leading poker player associations like Daniel Negreanu. Also, 888Poker is another high quality site that offers outstanding bonuses and an awesome variety of poker games to choose from. Yes, it is very important. In order to maintain high quality speed, you will need to have a good Internet connection. If you do not have fast Wi-Fi available to you at your home, you will want to have a good 4g plan. And if that's not an option, then at least leverage a 3g plan with a good signal. Can I demo for free? Yes, in most cases free play is not only available - it is encouraged. If you happen upon a highly recommended site that you are playing at for the first time, go in slow and low. This will help you test the waters without investing too much of your bankroll. When searching for the right poker site for your mobile in Canada, it can become overwhelming. Thankfully we're here to help you out, as our expert review team has thoroughly checked out each room for you. Below are some poker sites that failed to pass our test for a number of reasons, including when playing on mobile.